Sophisticated, diamond drop earrings, adoringly crafted as part of the Laurel range, set with 0.15cts of grain set G colour VS1 clarity diamonds. These sophisticated Diamond drop earrings are part of our Laurel range and would be the perfect accessory to compliment any outfit. The earrings gracefully hold a total 0.15cts of Round Brilliant cut Diamonds which have been graded G Colour and VS1 Clarity prior to being expertly set. 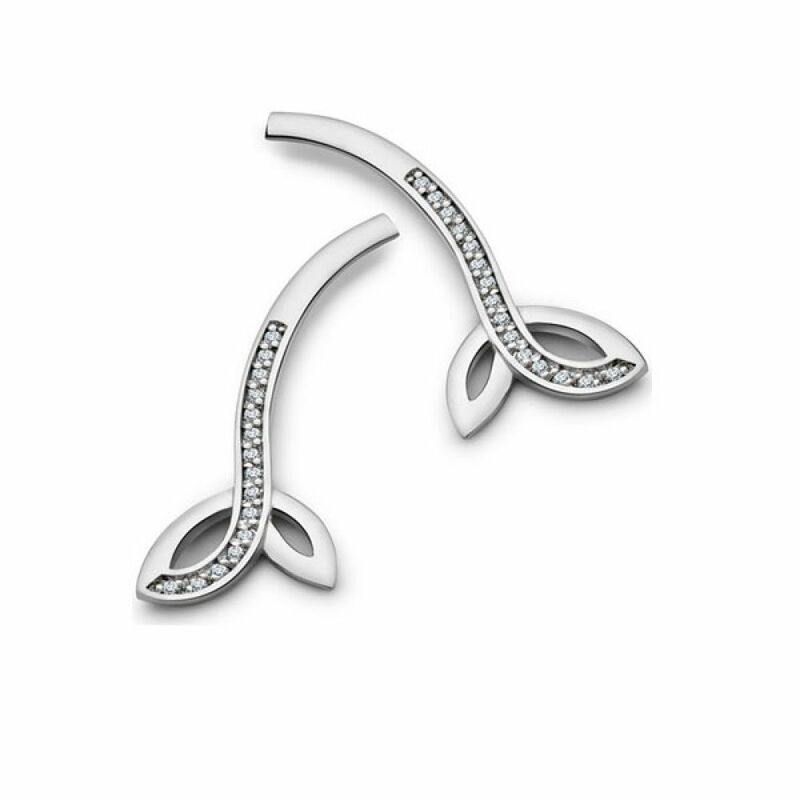 We can craft your earrings for you in either 18ct White Gold or 950 Platinum. We also provide a pair of complimentary LOX secure earring backs with your purchase, to guarantee that you have peace of mind while wearing your new earrings. Please allow us approximately 4 weeks to craft your earrings in your desired precious metal. They will then be delivered straight to your door by a secure courier, presented in our luxurious Serendipity Diamonds packaging.